Peekaboo! Who is that peeking out from the apple? Little Caterpillar Mina! 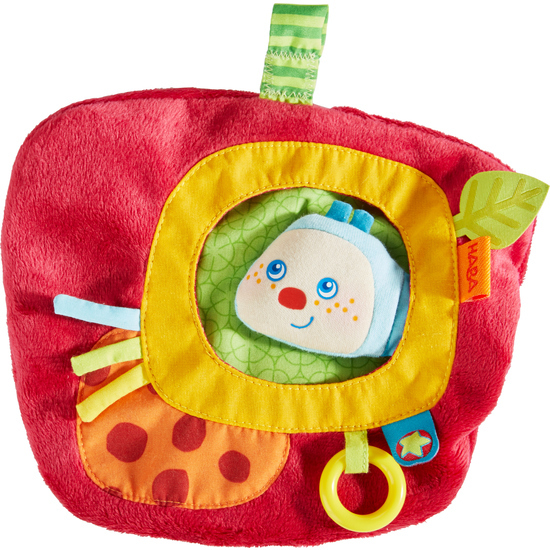 She brings budding explorers a variety of fabrics and components for tactile discovery and play time fun.